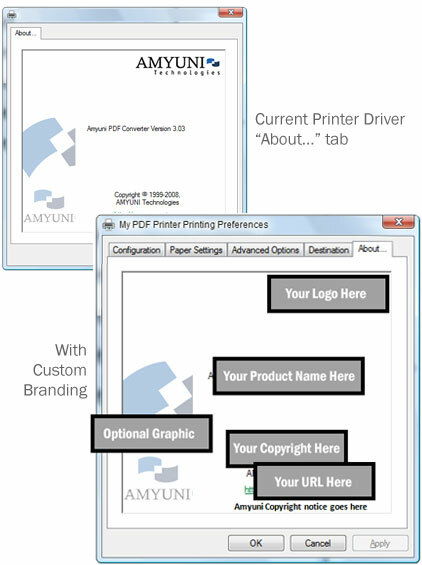 If you own a PDF Converter printer driver license, we can now custom brand and replace Amyuni information with your own. End-users who work with your products will see your corporate logo and copyright information from your printer driver’s “About” tab. Your company logo and product name within the Printer Driver. Your specified Printer Configuration tabs. Your signed printer driver certified by Microsoft (optional). Or contact us for specific details.